Online resources geared specifically for teachers, administrators and students in classroom environments. Note: Current Call to Faith users will need to re-register to access teacher-specific materials. 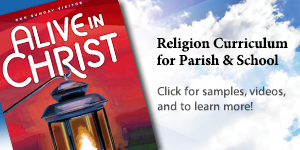 Resources designed to help families participate in their children's faith formation.